Was Chipeta Really A Queen? 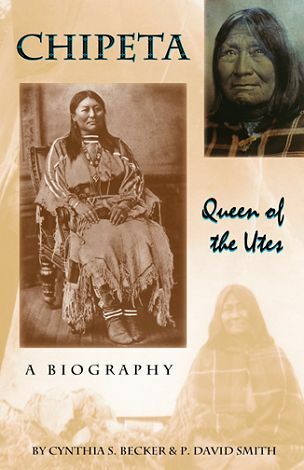 If she was not a queen, why did I use the title Chipeta: Queen of the Utes for my first book about her? The reference to Chipeta as “Queen” came from an incident that occurred on August 27, 1872. It was the opening day of a treaty council with the Utes and U.S. Government representatives. The reporter used the word queen to make fun of Chipeta. Ouray was not a chosen Ute chief. However, government officials saw him as a chief. He spoke for the Ute delegations that met with officials in Washington. Ouray and the Indian Agent both spoke Spanish well. After discussion with the delegation members, Ouray stated the Ute positions in Spanish. The Agent translated into English. For this reason, the men in Washington saw Ouray as the spokesman, and therefore, the chief. 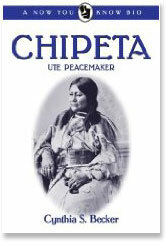 In the eyes of the U.S. Government, Chipeta was the wife of a tribal chieftain. “Queen” was a fitting title. As I researched Chipeta’s life, I came to appreciate her strength. She demonstrated courage in many challenging situations. Her life was not easy. In the end, she was honored by her people as a wise and respected elder. “The Utes and the Southern Cheyenne illustrate the bitter hatred and mortal fear that many tribes have for each other.” That was the view of Richard Irving Dodge in his 1882 book Our Wild Indians. Dodge spent many years in the West during the 1800s. From: Our Wild Indians: Thirty-three Years of Personal Experience Among the Red Men of the Great West by Richard Irving Dodge, A.D. Worthington and Company, Hartford, CT, 1882. In February 1849 or 1850, several militia units were called up in Utah Territory to protect settlements from hostile Ute Indians. The “Utahs,” as the Indians were called, were part of Chief Tabby’s band. The leader of the “hostiles” was known as Chief Walker. According to one lieutenant, the militia left Salt Lake City on February 7th. The next day they found the Utes along the Provo River and engaged in a fight. The Indians retreated to the mountains, leaving behind some some women and children. In a sworn statement, the lieutenant recalled that one militia man took home with him two of the abandoned Ute children, a boy and a girl about seven years old. Another witness, however, stated that several children were purchased from the Ute Chief called Walker. Ten years later the militia man married the Ute girl. In 1897 he made a sworn statement that he bought her from Ute Chief Walker. He did not name the price he paid. He said he later married the girl when she was of age and had four children with her. The statements cited above were made under oath between 1897 and 1900 to confirm the eligibility of the four children as members of the Ute nation. Names are omitted for privacy. A VISIT TO THE TRIBE OF UTES. Tower Mountain, opposite Howardsville, Bakers Park. Upon its nearby perpendicular fact of 3,000 feet are exposed a number of quartz veins, traversing its whole length. The one cutting down diagonally from the left is the Mammoth lode. Most of the others are claimed as mineral-bearing veins. San Juan County, Colorado. 1874. For a number of years they have been supposed to live upon the reservation, which embraces some 14,000,000 acres in South-Western Colorado, and is the largest Indian reservation in the country. But the fact is that they are in its valley only in the Winter, roaming during the Summer all over the Territory, particularly in the dark country and west of Denver, where they hunt buffalo. From about the 1st of August until it is time for them to retire to their Winter quarters in the Uncompahgre Valley, they keep near their respective agencies and live on the rations which are dealt out to them by the Government. Photo by William Henry Jackson, with his notes, courtesy the U.S. Geological Survey Photographic Library. Ute man. Los Pinos 1874. Having referred to the captains, sub-chiefs and head chiefs, it may be a good place in which to explain their respective positions and duties. When anything of national interest is to be deliberated, as the opening of a war, notice is given and a general mass meeting called of all the men in the tribe. There the pros and cons of the matter are fully discussed and weighted against on another. The matter is then referred to a council of the aged and influential chiefs of the tribe, many of whom have some authority and are termed sub-chiefs, who render a decision and arrange a mode of action, the execution of which belongs to the captains. In these deliberations no woman has any voice; or if by chance the sage advice of any woman is heeded the source is never recognized. When they go to war everything is in common. All the plans, tactics, and strategy to be employed are thoroughly understood by each man who, acting on this legitimate knowledge of the plans, looks out carefully that his own share of the work is well done. Thus all details of organization are rendered unnecessary, and the actual authority of the captains is so small as to amount to nothing. [The Utes] had learned from the experience of the wars with the Indians of the plains that when much authority is delegated to one man he is likely to abuse it for his own personal advantage; and, moreover, that jealousy toward him is sure to arise. It was especially pressed upon me to observe that the charge brought against them by those ignorant of their customs—that there was no system in the conduct of their affairs, and that they had no capability of organization—was untrue. On the contrary, their customs are uniform and universally respected, and they exhibit in their leaders just as much capacity for government as do any of the civilized nations of the earth. The only difference is, civilization presents greater complications. 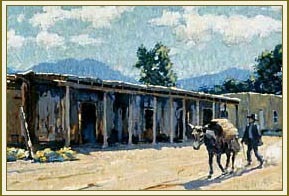 Photo courtesy the Denver Public Library, Western History Collection. The officer who had charge of locating the agency was instructed to put it on the Los Pinos River, 180 miles or so south-west of here, but he said: “Put it anywhere and call it Los Pinos.” So, here it is. The valley is eight or ten miles long and three or four wide, full of good grass and water, surrounded by high timber ed hills, and is a favorite Indian camping ground. 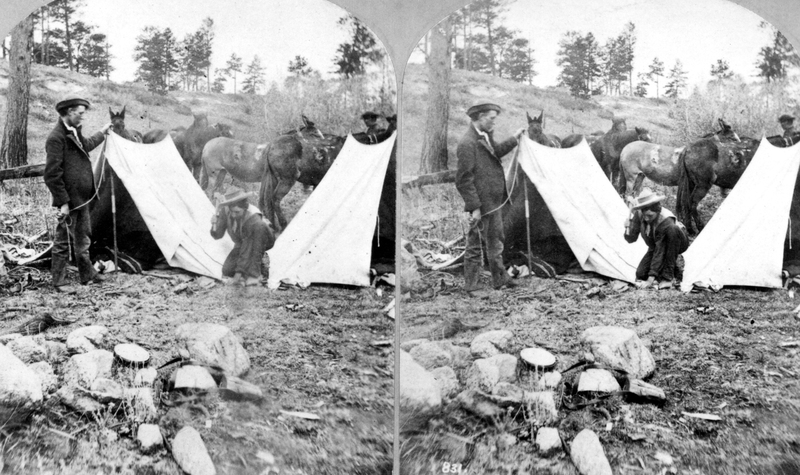 Hayden Team Piching Tents (from a stereographic picture). 1874. William Henry Jackson photographer. 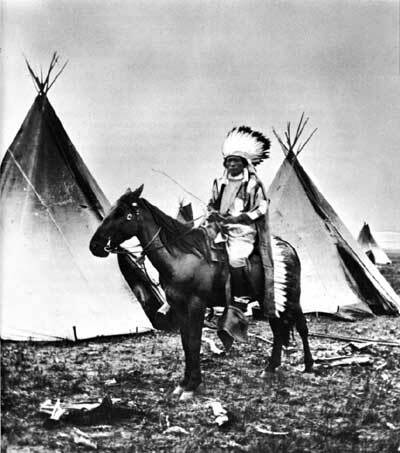 We—that is, the Hayden Expedition—camped at the agency about a week, occupying the time principally in making Indian pictures, but it was with the greatest difficulty that negatives could be obtained, for the redskins have a superstition that calamity will follow the photographic of groups and camp scenes, although one at a time it was safe enough. The squaws were especially superstitious about it. “Make heap Injun, heap sick,” they averred. But one morning, remarkable for its rare magnificence of sunrise color, as was the previous evening for its beautiful sunset, the train moved off, leaving me behind to get such mail as might come, but chiefly because I wished to “interview” Ouray, head chief of all the Ute nation, which is now a confederation of seven tribes. Through the kind exertions of Mr. Harris, post trader and interpreter, this operation was satisfactorily accomplished in his store. From his office in Santa Fe, J.L. Collins, Superintendent of Indian Affairs for New Mexico Territory, wrote about the conflicts between the Ute Indians and the gold seekers who were invading their territory. Men who are strangers to Indians, entirely unaccustomed to their habits and characters, are very apt, when they meet one, in place of showing him some act of kindness, to insult him by driving or, perhaps, kicking him out of camp. This is done without reflecting that they are surrounded by hundreds of Indians by whom they could be overpowered at half an hour’s notice. The Utes were often referred to as the Utahs by early day Indian Agents. On Sepember 20, 1859, Agent C. Carson (better known as Kit Carson), sent his annual report for the Utah Agency, Taos, New Mexico ﻿to the Superintendent of Indian Affairs. Carson lived in this home at Taos (which survives today as a museum) whic also served as the Agency Office. The house was an 1843 wedding present for Carson’s new bride. Story of the Kit Carson house from the New Mexico Tourism Department. Photo Taos Visitors Guide online. The house is a National Historic Landmark. Internet searches may deliver unexpected surprises. A recent search turned up a Navaho child’s shoulder blanket made of wool Bayetta. It was not what I expected but it turned out to be just what I wanted–once I discovered the story behind this lovely musem piece. 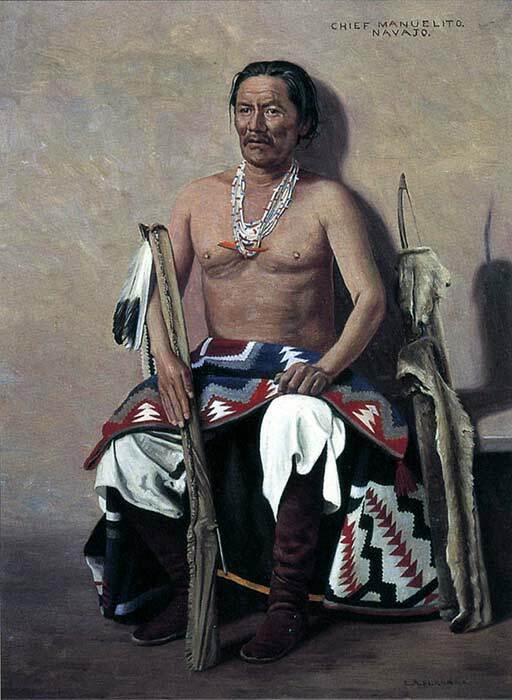 According to the museum description, Chief Manuelito of the Navajo (pictured above) presented the blanket to Chief Ouray of the Utes. The occasion or reason for the gift was not explained. In 1879, Ourary presented the blanket to his friend and former Ute Indian Agent, Charles Adams, after Adams intervened on behalf of the Utes in the Meeker Massacre affair. The blanket now resides in the Woolaroc Museum near Bartlesville, Oklahoma. 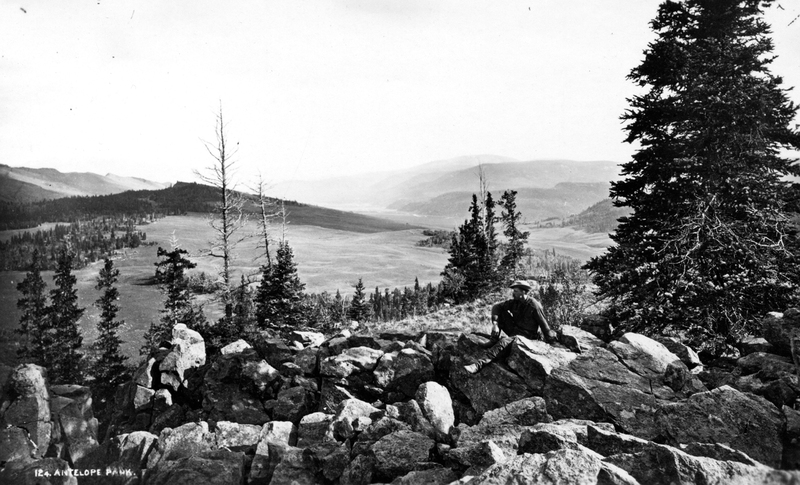 High in the Rocky Mountains the temperature hovered near zero in the early hours of December 29, 1879. 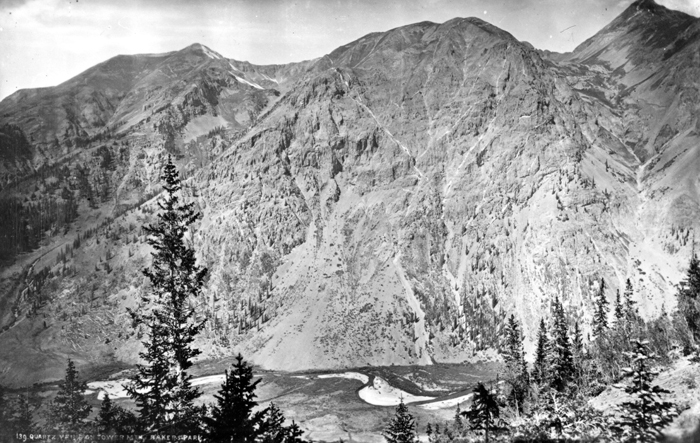 Before dawn, a delegation of twelve Ute Indians gathered on horseback at Los Pinos Agency to begin the long journey to Washington, D.C. Ouray and Chipeta led the delegation which included Uncompahgre Utes–Wass, Golata, Jocknick, Sieblo and Augustine–and White River Utes–Nickaagut (Jack), Sowawick, Toppaganta, Alhandra, and Unca Sam. Los Pinos Agency farmer William H. Berry served as interpreter. The group rode out before dawn escorted by General Hatch, Lieutenant Taylor, and ten soldiers. The 140 mile trip from Los Pinos to Saguache, Colorado took six days due to heavy snow on Cochetopa Pass. Joined by General Charles Adams and Otto Mears, the group spent the night at the Perry House Hotel in Alamosa. The soldiers fended off an angry mob that gathered outside the hotel, threatening to hang the Utes for the murders of white employees at the Meeker Agency four months earlier. The next morning the Ute delegation left town on the 6:20 am Denver & Rio Grande train. The delegation arrived at the South Pueblo station at 1:45 pm. Before they boarded another train to Chicago, General Adams led the group into the station to eat lunch. A crowd of angry local citizens gathered outside. They shook their fists and shouted “Hang the red devils.” The soldiers held back the crowd while Adams, Mears and Berry hurried the Utes to the eastbound train. People in the crowd threw rocks and lumps of coal at the Utes and one man hit Sowawick on the head with a club. When the Utes were safely aboard the train, the soldiers and railroad workers convinced the citizens to go home. Displays of hatred for the Utes did not end when they left Colorado. People in prairie towns gathered along the tracks to shake their fists and shout as the Utes passed by. Another mob waited at the Rock Island depot in Chicago. The Utes and their travelling companions worried about what waited for them in the nation’s capitol.